These conical tubes are clear for quick and accurate observations. 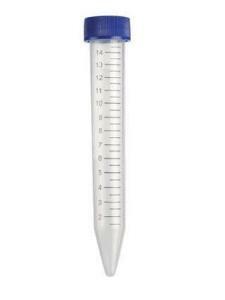 Made of clear polypropylene copolymer, the tubes feature printed graduations for easy filling and sample separation. A frosted writing area provides space for permanent coding. The tubes are autoclavable to 122°C and freezable to -90°C.